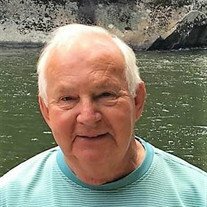 Douglas Dwight Setsor, 73, of Rutledge, died at his home on January 15th after a brief illness. Doug was born on August 14, 1945, the day World War II ended. He spent his entire life reminding everyone that he "brought peace to this world." His parents, Houston and Dora Setsor, may have encouraged this by naming him Douglas Dwight, honoring Generals MacArthur and Eisenhower. Doug grew up and attended school in Hancock County, where he spent his childhood and his young adult life. In 1967, Doug married Ethel Winstead and they had two sons, Chris and Scott. During these years, Doug became an ordained minister and served as pastor at Friendship Missionary Baptist, Cool Branch and Trent Valley churches in Hancock County. 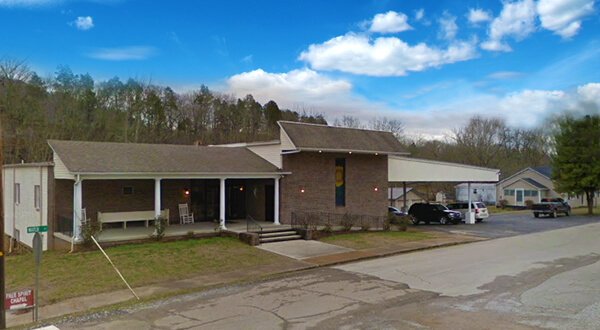 He was a member of Friendship Missionary Baptist Church in Treadway, TN. After spending the first part of his life in Hancock County, Doug married Lisa Roach in October of 1993, and has been a part of the Grainger County community since. When he married Lisa, Doug became step-dad to Jeremy and Darren Watson and immediately became an indispensable part of their family life. Doug made countless friends with his outgoing and friendly nature, and if you ask anyone he came across, he never met a stranger. Doug worked as a machinist for TRW in Rogersville for 28 years and retired in the summer of 2001. After retirement, Doug continued to work and spent his remaining years building and repairing countless homes across the community. Doug enjoyed a very full and productive life, blessed with a servants' heart devoted to helping others. A nephew shared "I believe his main goal was to make people laugh and make sure everyone was taken care of." He had multiple interests and hobbies that helped pass the time. Doug was an avid hunter and fisherman as a younger man and had a lifetime love affair with classic American cars. Doug's favorite days were filled with the sounds of bluegrass music and a minimum of one episode of the Andy Griffith Show. He was preceded in death by his parents, his son Scott Setsor, and by father-in-law, Lowell Roach. He is survived by his wife, Lisa Roach Setsor, son Chris (Kim) Setsor, step-sons Jeremy (Candace) Watson and Darren (Tina) Watson, daughter-in-law Veleka Setsor, grandchildren Cheyenne (Jordy) Harmon and Caleb Setsor, Rhett Watson and a soon to be baby Watson; great- grandchildren Gunner and Kemper Harmon; brothers Parrot and Johnny Setsor; mother-in-law Shelby Roach; brothers-in-law Brad (Kristin), Michael (Tammi) and David (Angela) Roach, as well as numerous nieces and nephews that loved "Uncle Doug" and a host of friends. A graveside service and interment will be at Davis Cemetery in Treadway on Friday January 18th at 1:30. Pallbearers are Brad Roach, David Roach, Caleb Setsor, Jordy Harmon, John Dalton, Kenny Marion, Kevin Marion and Marty McNish. A Celebration of Life reception will be held afterward at the Grainger Baptist Association in Rutledge from 4:30-7:30, where all family and friends are welcomed to attend and share stories and laughs honoring the life of this special man. In lieu of flowers please donate to Healthwellfoundation.org or https://mmfr.org to support families with healthcare costs suffering from Multiple Myeloma. Arrangements entrusted to Smith-Reagan Funeral Home of Rutledge, www.smithreaganfuneralhome.com.